Immersion in Theatre. Mezze Bistro. Cucumber Welcome. The Ribbon. Tempura Matsui. I've just come back to my desk after a total immersion in theater. Make that theatre, please, because that's how the Williamstown Theatre Festival spells it. That's where I was, far from my usual sandy feet beach weekend escape. From the moment friends of friends picked me up on West 73rd Street Saturday morning for the three hour drive to Williamstown, I was in another world. They were two playwrights and a director and their theatrical tittle-tattle of names and places was as foreign to me as Urdu. We arrived in time for a quick lunch at 1:30 and stood in line briefly at the best place in town for ice cream, Lickety Split. I contemplated something seriously chocolate between two cookies and, ashamed of myself -- after clam chowder and a lobster roll -- took one scoop of espresso coffee in a small cup. (I know that doesn't sound like my "live is short, eat dessert first," mantra. But when the super slender director took a bite of her chocolate chip cookie sandwich and half the ice cream slid out, I felt better about my caution. The big excitement at the workshop reading of 'Poster Boy" by Craig Carnelia and Joe Tracz was that Stephen Sondheim was in the room. 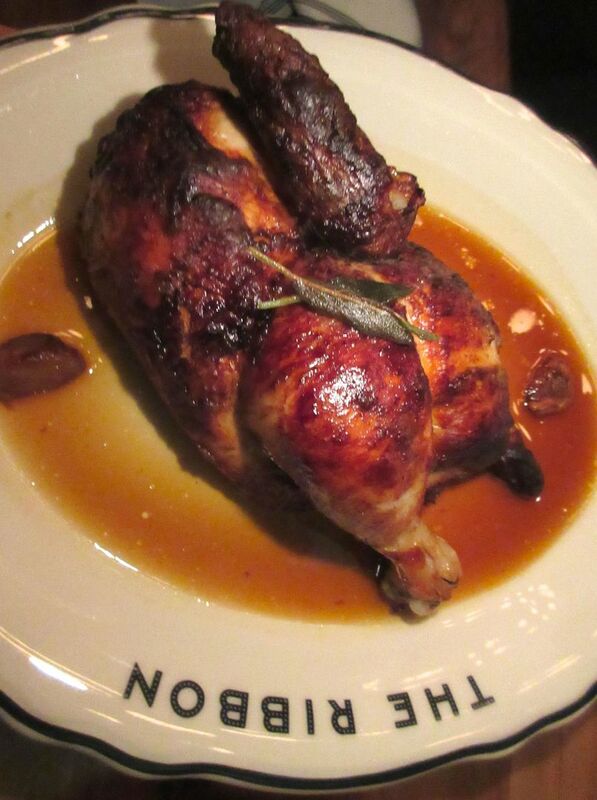 Just a guest but, imagine, if Paul Bocuse had been standing in line at Lickety Split. I'd never been to a workshop before where the actors read from scripts and there is no staging. At first I was not very interested in the story but then as the chorus went on, it became provocative, disturbing, moving, compelling. I would be curious to see it if/when it gets to New York. 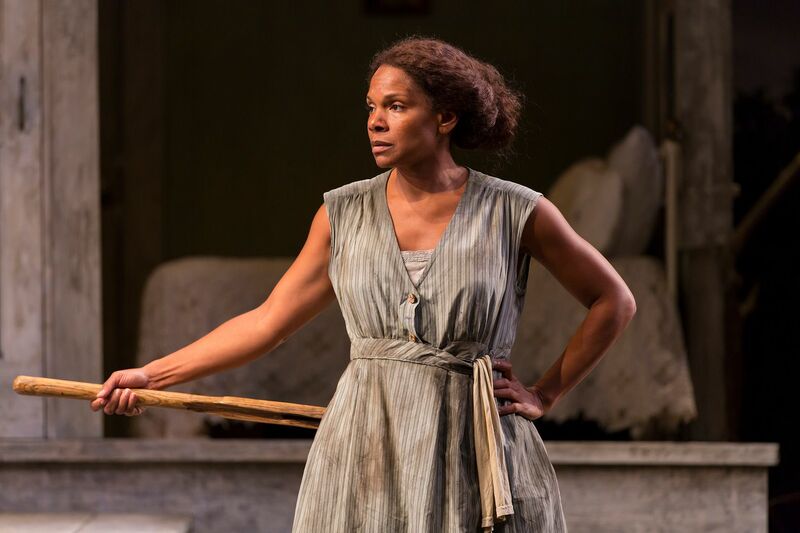 I took a 15 minute nap before the opening night performance of Audra McDonald in "Moon for the Misbegotten." I'd seen that Eugene O'Neill play with Coleen Dewhurst, Jason Robards and Ed Flanders. That was a formidable memory. Here Ming Cho Lee's original design had been restored and adapted. The lighting was remarkable. 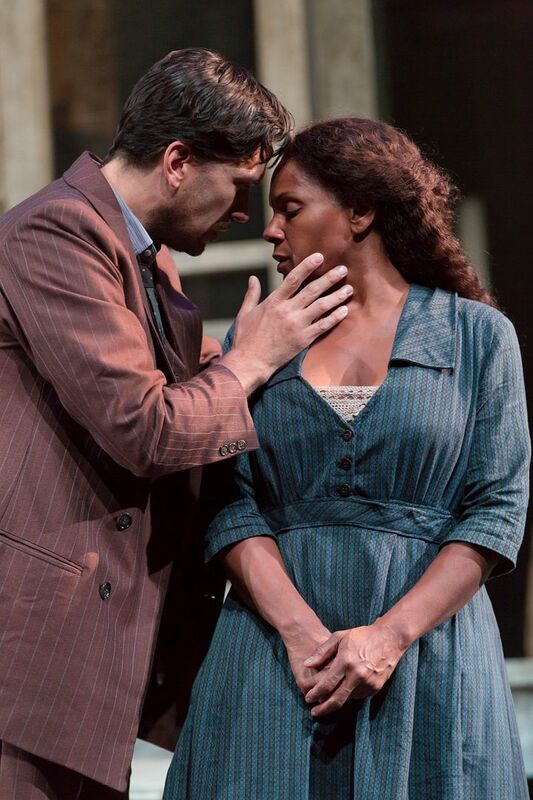 And Audra McDonald, playing opposite her actual husband, Will Swenson, radiates her own inevitability in the role of Josie. At 2 the next day I saw a new musical, "The Unknown Soldier." I heard some theater people say it needed work, and yes, but it was already en route to New York. That night I'd agreed to be honored at a gathering of Festival supporters, town loyalists and potential donors. I usually confine my fund-raising sweet talk to Citymeals-on-Wheels but, ambitious country theater? A friend asked and I agreed. There are many hungers we need to feed. The host, Paul Neeley, former publisher of the Chattanooga Times, trustee and philanthropist, had been a restaurant critic himself, he confided, suffering in the restaurants of Tennessee. He warmed up the guests, most of whom did not know each other until they melded into a dinner party, and asked me leading questions I could answer more or less cleverly. I did not expect the food to be so good. 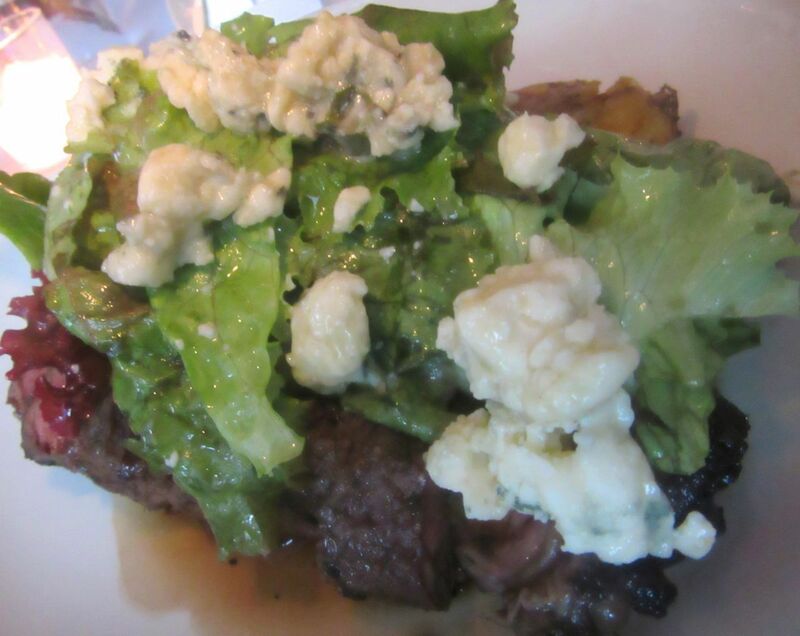 I chose to start with hen of the woods mushrooms in a blowsy tumble of duck confit, corn, ham crumbs and an egg yolk, followed by more madness, hanger steak with crusty duck fat potatoes, local lettuce and Bayley Hazen blue cheese. 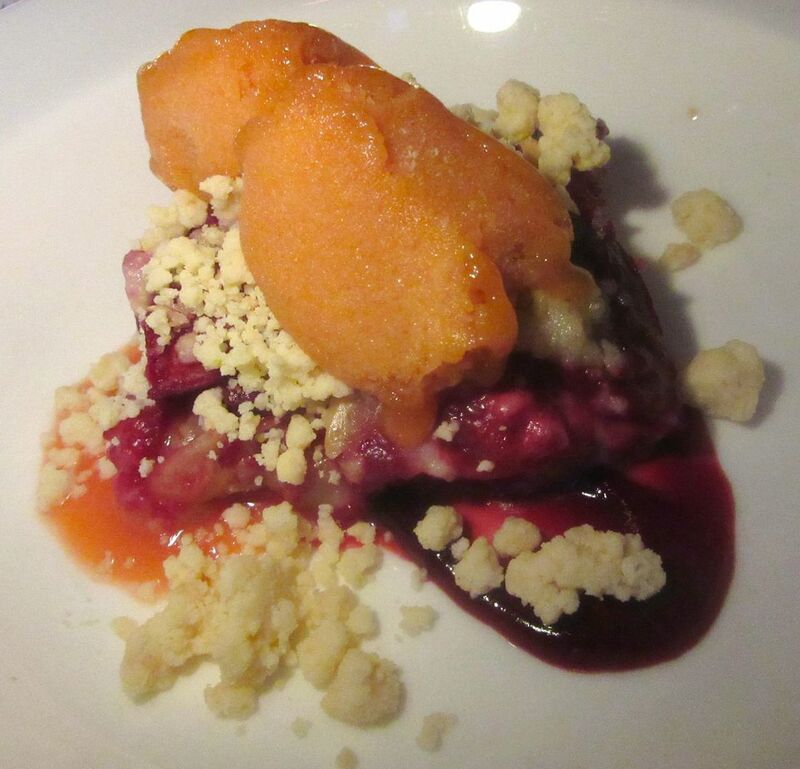 Even the plum almond tart with apricot sorbet was stellar. Around me, wiser minds were eating basil lemonade sorbet. I slept in the car going home and I woke up the next morning, still alive after all that excess. The Blue Ribbon Team Comes to the UWS. When the Times's FloFab revealed the news, westsiders all stood taller. The Bromberg boys were loading The Ribbon into the 200-seat sprawl on West 72nd where Sambuca had been of no interest at all forever. Even with the heritage of the building once being owned by mobster Arnold Rothstein in the '20s, it still seemed a little provocative, almost sadistic, that The Ribbon would only offer their celebrated fried chicken Sundays and Mondays. But never mind. 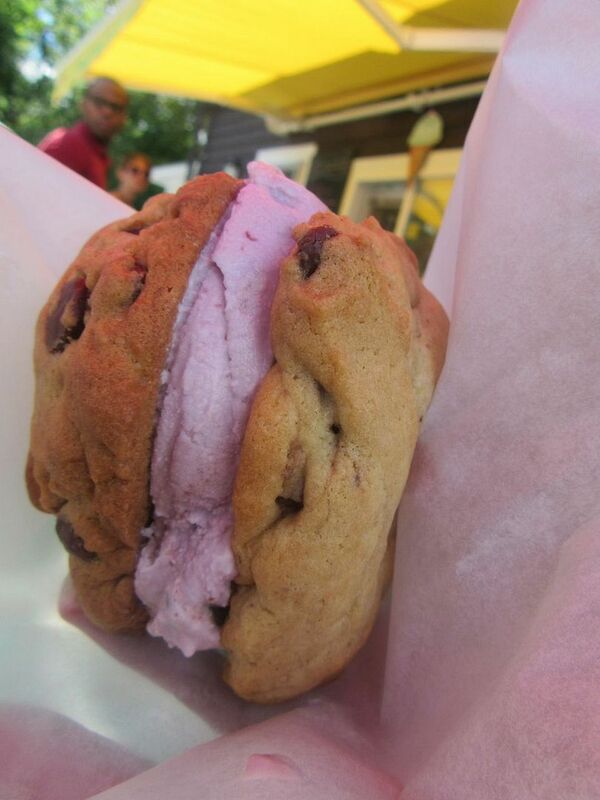 It was a dream come true - a menu with something for everyone -- just what the neighborhood needed. A few nights later, a friend and I are parked at a cramped, fake-aged two-top in the rear with inches between tables for a waiter to pass. He doesn't seem agitated about being bumped, as I would be. We're in the old folks' corner. I admire the photography collection on the walls - a little like Ralph's at Polo, reminiscent of Clocktower's -- but these are definitely not Ralph's people, not Ian Schrager's either. Not far away I see fertile early birds with in-laws and strollers and toddlers running loose. Should you go? What did we eat? Will you stand in line for fried chicken? Click here to learn more. 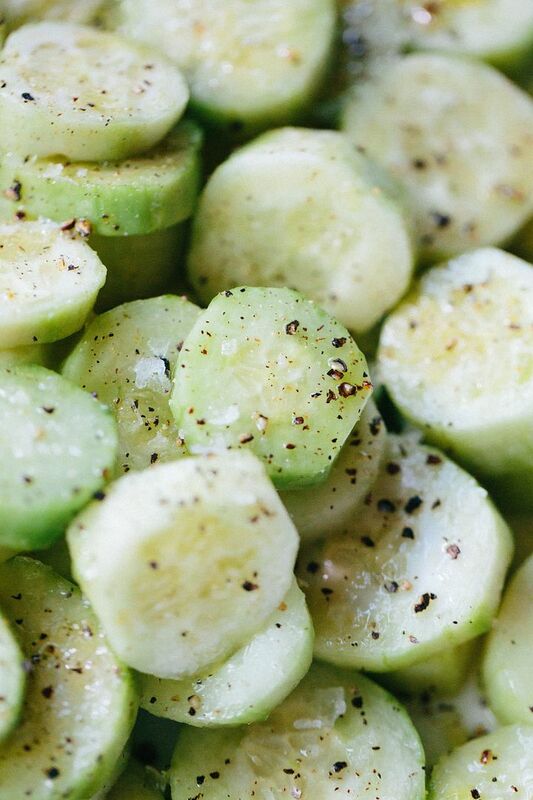 The cucumber is not exactly the most exalted vegetable to ever land in a salad. Aside from an occasional adventure in cold soup or its presence disguised as a pickle or a dalliance with garlic, cumin and chopped coriander in an Indian raita, have you ever been haunted by visions of a cucumber? And yet the cucumber welcome at Osteria Salina is wildly appreciated. 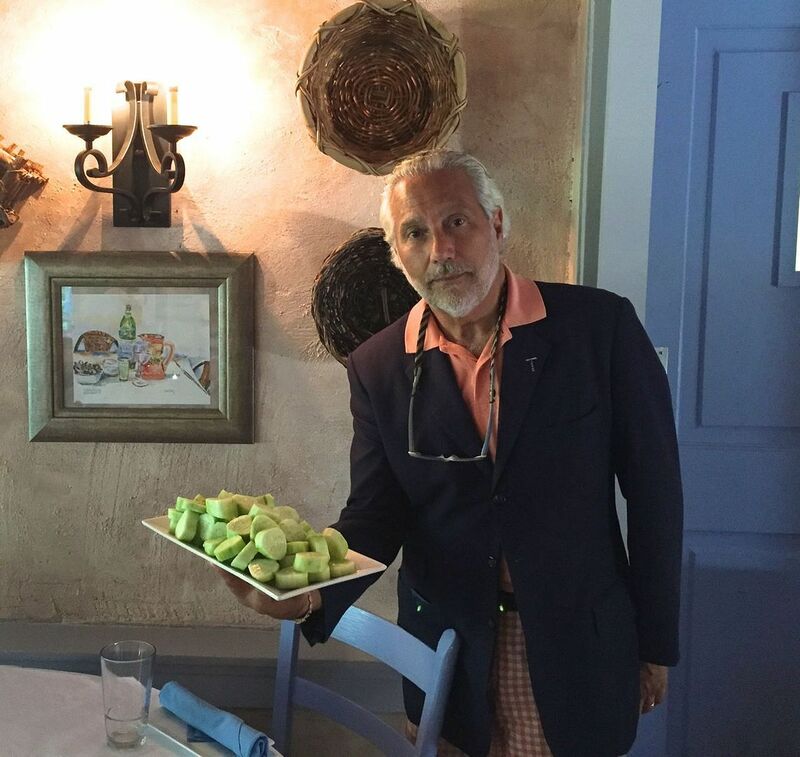 Even the most sophisticated fans of Cinta and Tim Gaglio's Sicilian island cooking and exuberant hospitality anticipate the cucumber moment. Regulars watch as Tim approaches in his inevitable shorts with the chilled and peppered rounds of chilled cucumber...and if he's not on watch for the earlybirds, they are sure the waiter has short changed them. 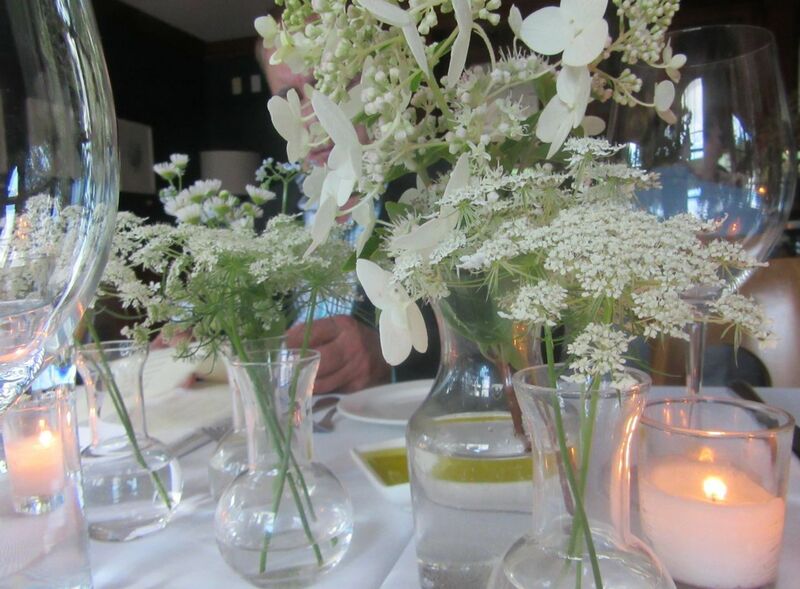 Well anyway, I did notice a skimpy cucumber plate on my last visit. Here's how Tim does his cucumber. I can hardly call it a recipe. It's a ritual you can follow. And one of the virtues of cucumber is they're crisp and fresh from the garden through early fall but not all that shabby In the winter. Click here for the how-to. 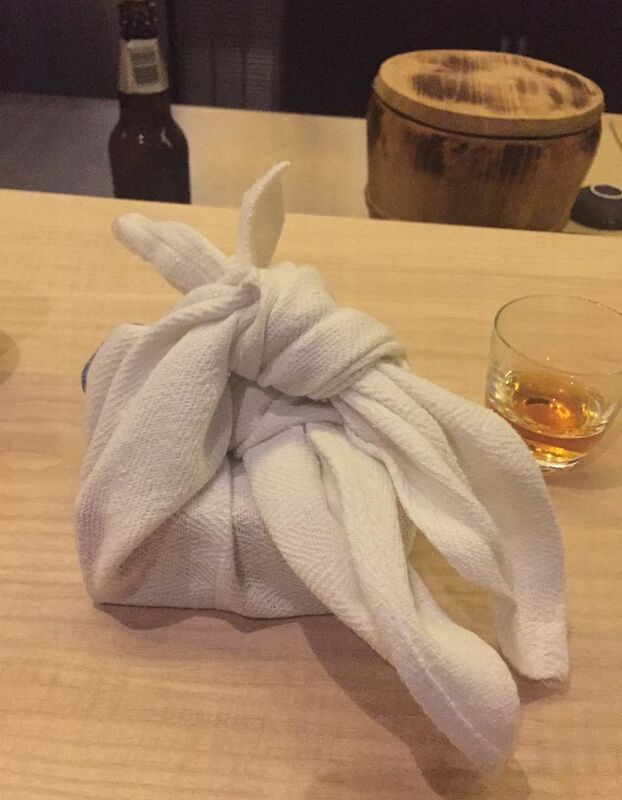 Dinner at Tempura Matsui is mysterious and discreet. It's not easy to find, hidden behind a greige cloth in a cul de sac, recessed from the sidewalk on a street that leads to a bridge and a tunnel. I persist, neophiliac that I am, drawn to a privileged new indulgence, tempura omakase punctuated by exquisite little kaiseki bites. 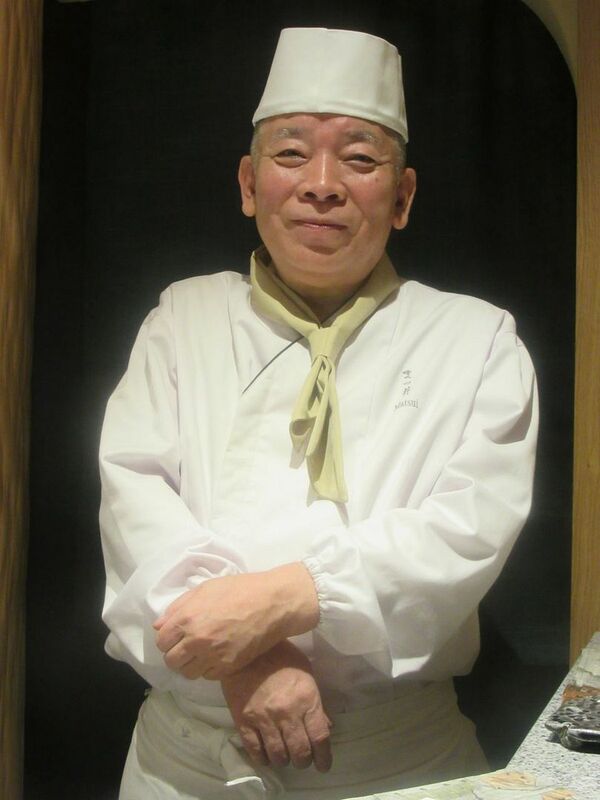 I commit to the whole $200 package as designed by a designated master, new import from Tokyo, Chef Masao Matsui. His claim to prodigy is the delicacy of his batter. 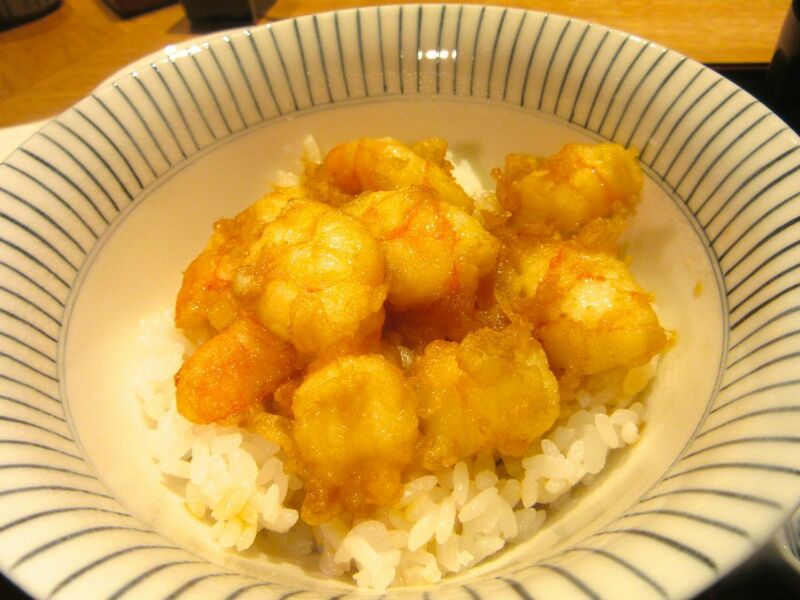 It seems that tempura batter can never be too rich or too thin. The stepped-back entrance is deliberate, to make it seem we are entering a small country home, the press release says. The A-frame sukiya-style villa ceiling, with bamboo lapped panels brought together by Fuji vines, is traditional in Japan's wooden houses, it seems. The slatted interior door slides open. My friend and I are the last to arrive for the early seating. 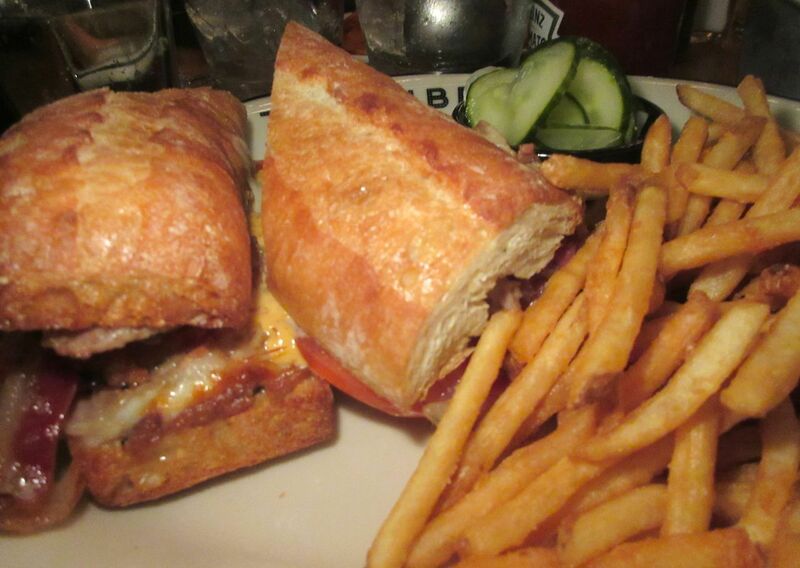 We settle at the counter -- our preference, needless to say. There are only nine seats facing the maestro, with a few more at booths along the wall and a five-seat bar made from a black walnut tree. The master smiles welcome, dips his head. I dip mine. Click here to read more and decide if this detour is for you. may not be used without permission from Gael Greene. Copyright 2015. All rights reserved.